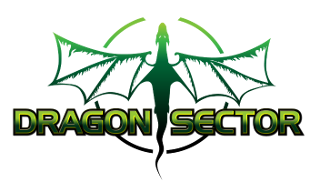 Dragon Sector is a Polish security Capture The Flag team. It was created in February 2013 and currently has 17 active members. We frequently participate in both online and offline security Capture The Flag competitions, publish write-ups on CTF tasks (both on our blog and in a Polish magazine „Programista“) and sometimes even organize CTFs. Our news/press site. Our blog. Our Twitter account. A computer geek fascinated by security ever since he saw "WarGames" long time ago. Specializes in low-level exploitation and web hacking. Other interests include SF books, mixology and amateur car racing. A reverse engineer interested in cryptography and low-level hacking, who analyzes random things just to check how they work. Currently works at Invisible Things Lab on SGX-related projects. A self-taught systems engineer that dabbles in security, networking, hardware hacking, digital logic and anything that might involve electrons in some shape or form. Enjoys unusual liquors, obscure computer architectures and bad puns. Security engineer who loves solving wargames and creating new challenges. Interested in all kinds of hacking and fighting with the longsword. Some sort of researcher who likes to play with bytes, currently pwning botnets for a living. As a leftover from school he poses some skills in program verification and other formal method associated with theory of programming language. Huge fan of beer, chaos and improvisation. Security researcher and computer programmer who enjoys thinking out of the box and hacking all sort of things. Also interested in AI, RE and software optimizations. A software engineer currently based in London. Got into CTFs through Warsaw Hackerspace. Always on the lookout for new things to learn. Genetics lover. Mystery solver. Hitch-hiking passionate. Waiting for his Call Of The Wild solving Security challenges. In free time he's focused on protein folding and pathogenic viruses. Currently works as security guy in Bank Millennium. Almost understand how computers works. Gamer. Biker. Roxah by day, haxor by night. Was growing up in a communist country, where oranges could be bought once a year for Christmas, half-rotten, after having been transported by a ship from another country in the block (thanks Cuba!:). Plays soccer, smashes opponents in ping-pong. Works as an Information Security Engineer at Google. Software engineer who likes not-so-popular unix-like systems, computer security and hiking. Yet another hacker enthusiastic about anything electronic that is weird, interesting or obscure at any level, from FPGAs to advanced functional type systems. His free time is spent making sure Warsaw Hackerspace survives yet another year. A programmer interested in cryptography, reverse engineering, hardware, and reverse engineering hardware. For some reason, people keep mistaking him for a security specialist. Fan of (almost) everything that's low-level and pwnable. Got into hacking after randomly attending a lecture by Redford. Studying Computer Science at the University of Warsaw in his spare time. Just another security researcher specializing in showing slides to other people. Apart from security interested in game dev, procedurally generated graphics and e-sport. Works as an information security engineer at one of the existing companies. A big fan of memory corruption. His main areas of interest are client software security, vulnerability exploitation and mitigation techniques, and delving into the darkest corners of low-level kernel internals with a very strong emphasis on Microsoft Windows. He currently works as a security researcher at Google Project Zero.